One of the biggest challenges faced by health care providers is ensuring proper documentation in patient charts. Shortcomings in charting can result in lost revenue due to third party payers’ assigning a lower CPT code or refusing to pay a claim. Even worse, poor charting may prompt an equally poor survey result. Convincing employees to stay on top of charting can be difficult and frustrating but taking appropriate action against those who fail to do so and documenting that action is critical. A recent decision by the U.S. District Court for the Western District of Wisconsin illustrates the manner in which an employee’s failure to chart should be properly documented through the disciplinary process, and how such effective documentation may be used to defend against claims for discrimination and/or wrongful termination. When a follow up audit revealed that the employee’s charting was incomplete and the employee failed to correct the problem after being given an opportunity to do so, he was terminated. The one weakness in the process appears to have been the Mayo Clinic’s failure to take action against Mr. Blumentritt when he did not meet the deadlines set in the performance improvement plan. On the flip side, a real strength is that the Mayo Clinic did not restart the disciplinary process when the employee backslid, and instead resumed at an appropriate level given the prior infractions. The well-documented disciplinary measures against Mr. Blumentritt were critical to the Mayo Clinic’s ability to defend against his claim that he was terminated because he was a gay male. This entry was posted in employers, Healthcare and tagged Blumentritt v. Mayo Clinic Health System - Franciscan Healthcare, health care providers on February 20, 2019 by smithamundsen. The Health Insurance Portability and Accountability Act of 1996 (HIPAA) addresses, among other things, the use and disclosure of individually identifiable health information, referred to as “protected health information” or PHI. Many employers are confused as to how the HIPAA Privacy Rules apply to them. With requests for FMLA and accommodations for disabilities, employers are handling very sensitive and private information about their employees on a daily basis. While it is impossible to thoroughly address the multitude of issues within the HIPAA privacy rules in a short article, following are some basic points that should help most employers in navigating compliance with HIPAA privacy rules. HIPAA privacy rules generally do not directly affect employers unless they are a “covered entity” as defined under HIPAA. Covered entities typically include health plans, health care clearinghouses, and most health care providers. Even a health care provider may not be directly subject to HIPAA Privacy Rules in their role as an employer. 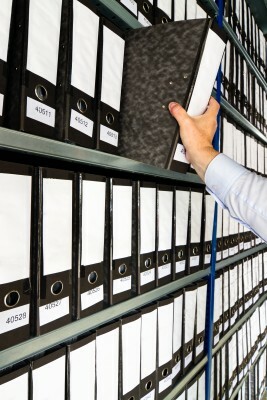 HIPAA regulations provide an example involving a health care employee: When a clinic employee visits a doctor for treatment, her medical file is PHI. However, when that employee takes the doctor’s note she received during her visit and turns it in to HR for attendance purposes, the document is now part of her employment file and is no longer PHI in that setting. Avoid receiving PHI from your group health plan. If you do not maintain a self-insured health plan you can minimize the need to comply with HIPAA privacy rule requirements simply by restricting your insurer from sharing the information. Generally an insurer should not be sending PHI to the employer unless the plan document specifically states which employees may receive PHI and for what purposes. Your plan document should not unnecessarily designate employees to receive PHI. It is a good idea to review insurance contracts and plan documents and make sure they limit the role the employer plays in administering the group health plan. Outsource Administration of group health plans, including flex spending accounts. If you have a self-insured health plan and/or a flex spending plan, you need to make sure those plans are administered in compliance with HIPAA privacy rules. However, if you hire a third party administrator, you can and should shift the flow of the PHI to the third party administrator who will be handling the claims. This step greatly simplifies what an employer has to do to be in compliance with HIPAA as it greatly limits the amount of PHI the employer receives. Instead, you can focus on making sure you have a Business Associate Agreement in place with the third party administrator. As with everything, there are exceptions to these basic points. For example, the privacy rules contain special provisions relating to workers’ compensation laws allowing for an employer to obtain PHI directly from a health care provider when “necessary” to comply with workers’ compensation laws. Another exception exists in the privacy rules excluding self-administered plans with fewer than fifty (50) participants from being subject to HIPAA privacy regulations. It is always best for an employer to consult with counsel on any of these issues. This entry was posted in employers, Healthcare and tagged HIPPA Privacy Rules, HIPPA Regulations on July 30, 2018 by smithamundsen. On June 21, 2018, the US Department of Labor (DOL) published a final rule making it easier for a group or association of small employers to band together to buy health insurance. The rule allows employers that previously could only purchase small group health coverage to join together to purchase insurance in the less-regulated large group market. The rule broadens the definition of an “association” that can act as a single “employer” to sponsor an Association Health Plan (AHP) under the Employee Retirement Income Security Act of 1974 (ERISA). Employers that pass a “commonality of interest” test based on geography or industry can form an association for the sole purpose of offering an AHP to their employees. In most states employers with less than 50 employees must purchase health coverage in the small group market, which is subject to greater regulation (a few states set the cut off at 100 employees). Under the new rule, an association of employers with a total of 50 (or 100) or more employees among them will have access to the large group market. Why does this matter? Large group plans are exempt from some of the regulatory requirements imposed on small group health plans by states and the Affordable Care Act (ACA), including the requirement to provide coverage for 10 essential health benefits. This will allow an AHP to offer a “skinnier” (and cheaper) plan than those available in the small group market. AHPs may also help employers leverage the bargaining power of a larger group and reduce administrative costs through economies of scale. The regulations also enable AHPs to self-insure, subject to state oversight, an option not previously available to most small employers. Sole proprietors may also participate in an AHP. AHPs are still subject to nondiscrimination regulations. Coverage of an individual cannot be restricted based on any health factor or denied based on a preexisting condition. Because AHPs are not subject to the same rules as small group health plans, employers must read the fine print and understand the details of the coverage they are purchasing. AHPs are closely regulated by state and federal regulations and compliance will continue to be complex. AHPs are a type of a multiple employer welfare arrangement (MEWA), which are generally required to file a Form M-1 and a Form 5500 annually unless otherwise exempt. The new rule will be phased in beginning in September 2018, at which time fully-insured AHPs may begin to operate under the rule. Existing self-insured AHPs may begin to operate under the new rule on January 1, 2019 and new self-insured AHPs can begin on April 1, 2019. This entry was posted in Health Coverage, Healthcare and tagged Association Health Plan (AHP), Department of Labor Final Rule, health insurance on July 10, 2018 by smithamundsen. Employers are receiving a temporary reprieve from the controversial “Cadillac Tax” on health plans as part of a large spending and tax bill signed into law by President Obama on Friday, December 18, 2015. The Consolidated Appropriations Act (the “Act”) delays the effective date of the Affordable Care Act’s (ACA’s) excise tax on so-called high cost health plans, known as the “Cadillac Tax,” until January 1, 2020. The Cadillac Tax, previously scheduled to take effect on January 1, 2018, is a 40% excise tax on employers and insurers who offer health insurance plans that exceed specified high-cost limits ($10,200 for individuals and $27,000 for families for 2018). The 40% tax applies to the cost of the plan above these thresholds. In addition to the delay, the Act makes the Cadillac Tax a tax-deductible expense for employers, somewhat cushioning its impact. The Act also calls for an examination of suitable benchmarks to be used for the adjustment of the excise tax thresholds in future years. The delay comes after mounting criticism of the Cadillac Tax from employers, insurers, labor unions and lawmakers. Critics argue that the tax, which was expected to affect an estimated 25% to 30% of employers in 2018, and as many as 50% within the next 10 years, unfairly penalizes employers and unionized workers and will ultimately lead to employees paying more out of pocket for medical expenses. While opponents of the Cadillac Tax are citing the delay as the first step towards a repeal of the tax, employers must remain cautious and plan for the tax to be implemented in 2020. Employers should continue evaluating the costs of the health coverage offered to their employees and begin to consider alternatives to reduce exposure to the tax in 2020. Additionally, employers should review the accounting consequences of the now deductible Cadillac Tax. This entry was posted in Affordable Care Act (ACA), Cadillac Tax, Healthcare, News & Tips and tagged ACA, Cadillac Tax, health care on December 23, 2015 by smithamundsen.